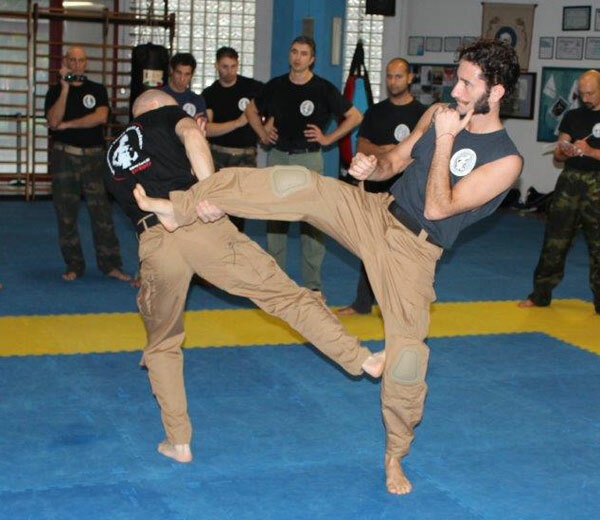 Muay Lert Rit kicks are basically low line strikes. Straight kicks or round kicks are delivered below the belt’s line for two main reasons: in the first place low kicks are safer and secondly they are usually more powerful than high kicks. •	Low kicks are safe. When we target the groin or legs of our opponent, the risk of slipping and losing balance is reduced to a minimum. The higher the kick the more precarious the balance. In military Close Combat it is imperative not to fall to the ground, therefore we should avoid all actions that may potentially endanger our balance. Low line kicks tend to reduce the risk of losing balance to a minimum and if properly trained can bring to as devastating results as any spectacular high kicks. •	Low kicks are powerful. Lert Rit is based upon aggressive fighting tactics; every technique is aimed at subduing enemies with as few actions as possible. Therefore every attack must strive to be decisive and Lert Rit kicks are no exception. Powerful core muscles and leg muscles, mainly quads and buttocks, are used at their best when we keep our kicks low. Moreover, several vital targets can be easily reached by low kicks, namely groin, bladder, coccyx, knees, with obvious serious results. Against a fallen opponent a low kick may be aimed at such delicate spots as head, spinal cord, throath, solar plexus, kidneys. Tiip Trong: front straight kicks. Tiip Khang: side straight kicks. 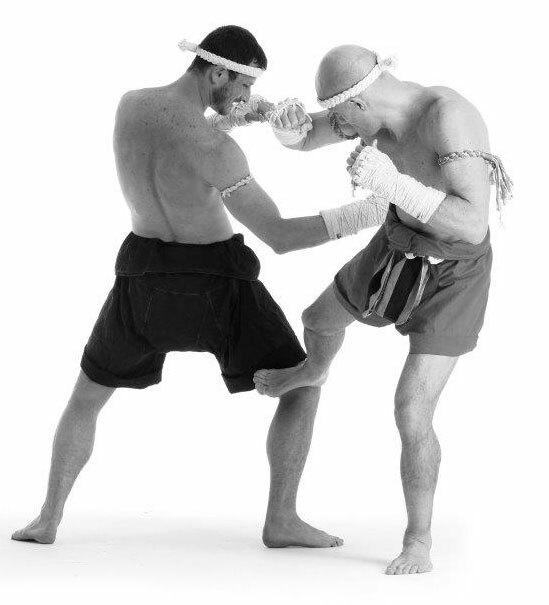 Tae Trong: front round kicks.